Give us a call today on 01376 396015. Stairlifts Braintree - Braintree and Bocking! Calling all Essex lovers. Have you retired to this beautiful county? 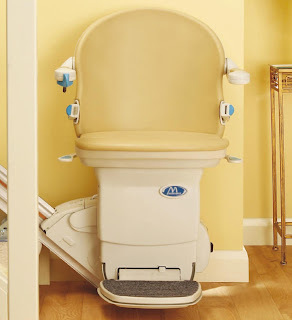 If you have or if you have a mobility problem and live in the area especially the Braintree region, why not call Castle Comfort Stairlift’s local office here? Now for a short tour of Braintree, the 8th largest populated town in Essex in the east of England. Braintree sits on the River Blackwater and lies just 10 miles north east of Chelmsford, 15 miles west of Colchester and 40 miles north east of London. Stane Street and Bocking lie to the south and north of Braintree and are often all referred to under the one name Braintree or as Braintree and Bocking. Although there are a number of possible explanations for the name Braintree they all lead back to ‘village by a river’; there is also some substance to a reference to a river as black as a crow which of course would fit with Blackwater’s current name. Braintree fields a Town Football Club known as ‘The Iron’ which plays in the Conference National league – this is the lowest in the Football league structures in England. Nevertheless Braintree Town Football Club has done pretty well in the last few seasons. They were formed back in 1898 as a company team for the Crittall Window Company and initially played in the Essex League. Halstead to the north of Braintree is undergoing some regeneration mainly at the hands of Tesco who are building a store in the centre of the town. With the lack of employment in the area it isn’t surprising that the youngsters move away and almost a quarter of their population is retired. Though there are still three primary schools in the town. Back to Halstead, well just outside actually to Gosfield Hall once the home of the Courtauld Family. Samuel Courtauld (19th century) owned Gosfield Hall. The house was originally built for Sir John Wentworth of Cardinal Wolsey’s household in the mid 16th century. In the 19th century the Courtauld family brought their silk business to the area; it made them very rich and benefitted the region as they provided employment and benefaction to the local community including the town hall, Corner House, Leahurst Hostel, the Willam Julien Courtauld Hospital as well as land, buildings for the High School and public gardens. Heading off west from Braintree you’ll find the ancient market town of Great Dunmow. Dunmow means ‘Meadow on the Hill’ and the town has variously been referred to as Dunmow Magna, Much Dunmow and now – and most commonly – Great Dunmow. It is built on the site of an old Roman settlement where the town thrived during the Middle Ages. Steeped in history, many buildings have survived from the 16th century including the Town Hall. Eastern Lodge can be found on the edge of Great Dunmow; this country house belonged to the Maynard family. Frances Maynard, later known as Daisy Greville, notoriously became the lover of Edward VII when as the Prince of Wales he visited the house often. During WWII, RAF Great Dunmow was constructed on the estate although 10,000 trees were felled to make room for it! Unfortunately, the house was mostly demolished once it was returned by the military after the war. Actor Rupert Everett spent some of his childhood in Braintree. Everett has a ‘well connected’ heritage; he is the descendant of Baronets Vyvyan of Trelowarren and the German Fieherren von Schmiedem; he is also the great-nephew of the Russian double-agent, Donald Maclean and a great grandchild of the Liberal Politian, Sir Donald Maclean. The Prodigy was formed in Braintree by founder member Liam Howlett who was born here. Band member Keith Flint also spent time growing up in Braintree. The Prodigy has sold more than 25 million records around the world. Steve Harley of Cockney Rebel worked here for a few years as a reporter for the local paper before forming Cockney Rebel in the 1970s. Harley had polio as a youngster spending 4 years in hospital from the age of 12 – 16. Flamboyant dance expert and choreographer Louie Spence grew up in Braintree. Spence performed in West End productions of Miss Saigon and Cats as well as with several top- charting pop bands such as the Spice Girls, Take That and Bjork. Whether or not your history holds secrets the magnitude of some of the local dignitaries or even if you’d like to have danced with some of the famous bands, we can help you keep as mobile as possible even if you can no longer rock and roll! Don’t forget you can use the £50 off voucher at the top of the page above!